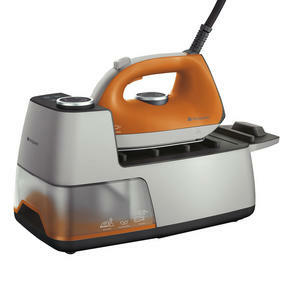 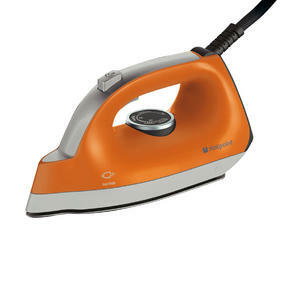 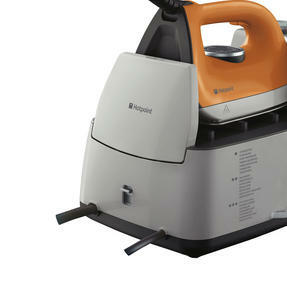 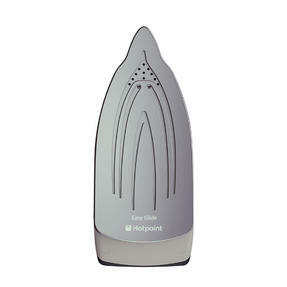 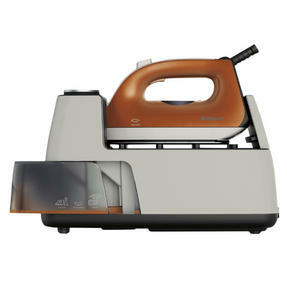 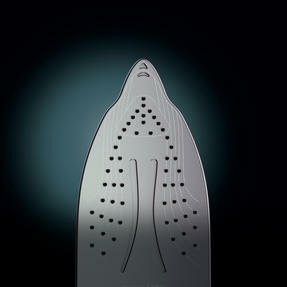 This excellent Hotpoint steam generator iron delivers formidable 2400 W performance inside a compact package. 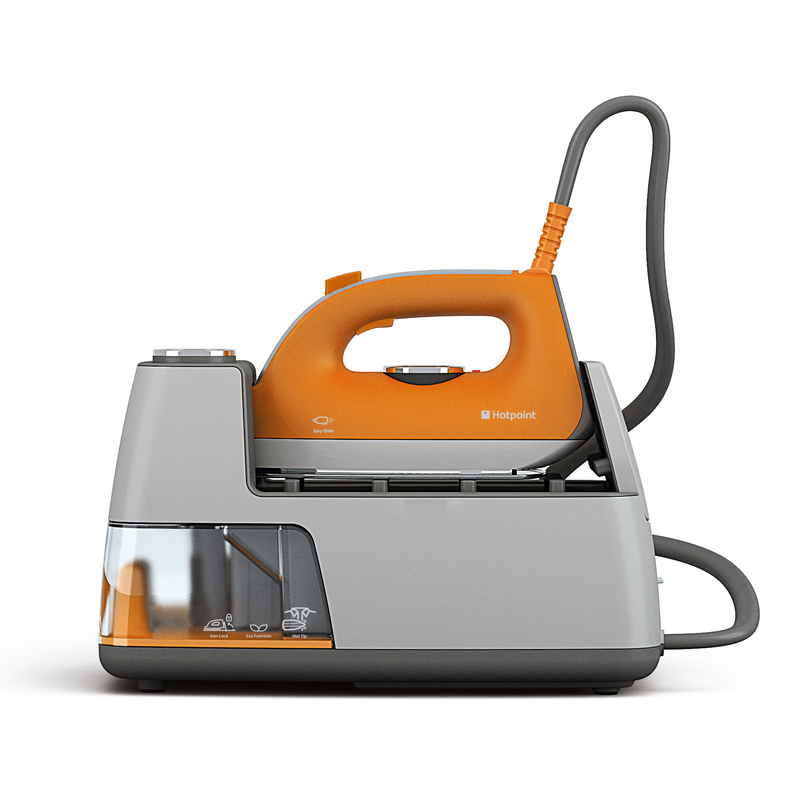 The stylish orange unit has an eco-friendly mode that uses up to 30% energy than full steam power, while its iron lock feature allows you to safely store it straight after use. It features a diamond glide soleplate that smooths over creases without any hassle and its variable temperature functionality makes it ideal for a range of fabrics, including cotton, linen, wool and synthetics. This compact yet powerful 2400 W iron from Hotpoint heats up in just 4 minutes and delivers heavy-duty steaming pressure up to 5 bar. 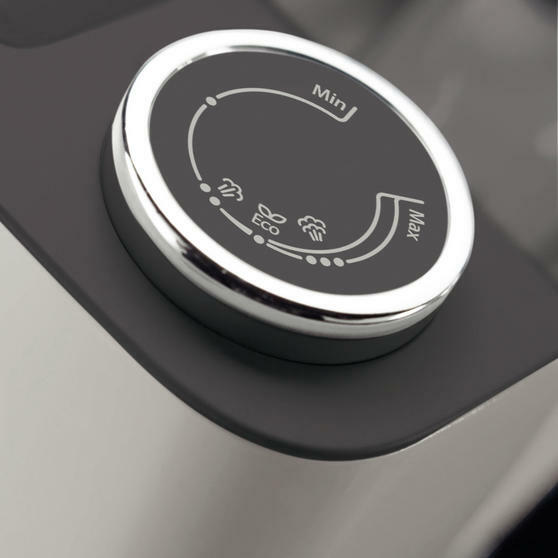 With a detachable 1.2 L water tank, it features calcium-proof technology for minimum limescale formation and maximum performance. The anti-scratch diamond glide soleplate swiftly eliminates creases and its hot tip can reach even the smallest corners and crannies. Optimal Soleplate Temperature technology lets you configure the level of heat for each fabric, ensuring great results every time. 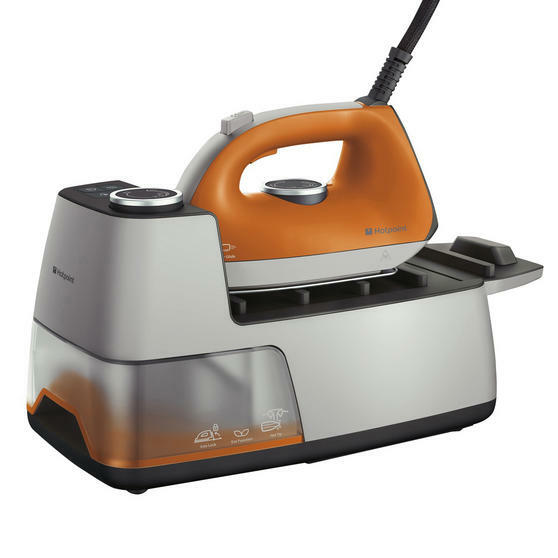 The iron has an innovative safety lock mechanism that allows you to carry it even when still hot for easy and convenient storage.